Your Peoria HVAC – Air Conditioning Service and Repair carries the Best Quality Heating and Air Conditioning Systems from the Top Names in the Business! The industry’s top brands and manufacturers. The latest in heating and cooling technology. State-of-the-art equipment. All designed to maximize energy efficiency and reduce your home’s utility bills. That’s what you get when call Your Peoria HVAC – Air Conditioning Service and Repair to install or replace your heating and air conditioning system, a new water heater, air filtration system or thermostat. High Efficiency Air Conditioning Systems: Replacing or adding a new air conditioning system is no longer just about trying to cool your house down! Today’s systems are able to give you more control by letting your determine not only the temperature you find the most comfortable but also the humidity level that you deserve. Your Peoria HVAC products– Air Conditioning Service and Repair will help you find the right cooling system that will not only give you both, but also save you money! 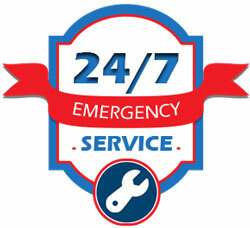 High Efficiency Gas Furnace Heating Systems: There is a wide range of choices available in today’s gas heating systems. Manufacturers have made incredible advances in energy efficiency, which can make upgrading your current heating system to a high efficiency gas system from Your Peoria HVAC – Air Conditioning Service and Repair one of the best investments you could make in your home. High Efficiency Heat Pump Systems: Homeowners with electric heat pump systems will be happy to know that they can expect to have a warmer home this winter. Today’s technologies allow for hotter heat coming out of your registers making your home toasty warm, just the way you like it. During the summer, you can expect your home to be even more comfortable than it has before due to better dehumidification technology. And to top things off, a heat pump system from Your Peoria HVAC – Air Conditioning Service and Repair can save you hundreds, even thousands, of dollars each year in energy savings! Indoor Air Quality Products: Allergies? Dust accumulation? There are ways to help your situation. From simple upgrades to your existing filter to applications that will create hospital grade, clean air, Your Peoria HVAC Products– Air Conditioning Service and Repair can set you up with the filtration products that best address all of your indoor air quality needs. Water Heaters: The areas around Peoria Arizona have extremely hard water, which shortens the average life of most water heaters. If your water heater is 8 to 10 years old or beyond, it’s time to start budgeting for a replacement water heater. 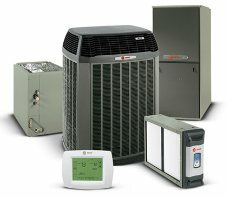 Your Peoria HVAC Air Conditioning carries a wide variety of water heaters, including natural gas and electric models. Thermostats: Your Peoria HVAC Air Conditioning, Heating & Solar offers a wide variety of thermostats. We carry everything from basic “old fashioned” thermostats to state-of-the-art programmable thermostats that double as digital picture frames, to thermostats that can be custom programmed through your wireless router from any computer where in the world.